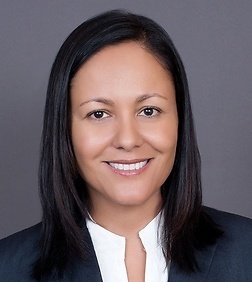 Ximena Solano Suarez is an associate in the Intellectual Property Practice Group in the firm's San Diego (Del Mar) office. Ms. Suarez specializes in patent and trademark protection and enforcement. She has worked on numerous patent and trademark litigation matters, including serving as co-counsel for a trademark, trade dress and copyright infringement case before the United States District Court for the Southern District of Florida. Ms. Suarez represents clients in litigation and prosecution of domestic and foreign trademarks. She also provides opinions and counseling relating to trademark infringement and availability issues in the context of litigation and licensing. Represented U.S. sports apparel and equipment company in nonexclusive, copyright and trademark license agreements in Costa Rica and South America. Represented a U.S. sports apparel and equipment company in license and distribution agreements in Europe and Japan. INVT SPE LLC v. HTC Corp. et al., No. 2:17-cv-3740 (DNJ). Represents HTC in a seven-patent infringement action relating to alleged standard essential patents (SEPs) directed to the 2G EGPRS, 3G UMTS/WCDMA/HSPA, and 4G LTE standards. HTC has counter-claimed for breach of FRAND. Evolved Wireless, LLC v. HTC Corp. et al., No. 1:15-cv-543 (D Del). Represents HTC in a five-patent infringement lawsuit relating to alleged SEPs directed to the 4G LTE standard. HTC has counter-claimed for breach of contract, alleging that Evolved Wireless failed to license its patents on FRAND terms. Citizens Equity First Credit Union v. San Diego County Credit Union, No. 92066165 (TTAB). Represents SDCCU in a trademark cancellation proceeding brought by CEFCU. Cubic Transportation Systems, Inc. v. Matrix Transactional, LP, JAMS No. 1240022968. Represented Cubic in a breach of contract, fraud, misappropriation of trade secrets and violation of unfair competition arbitration proceeding against Matrix.